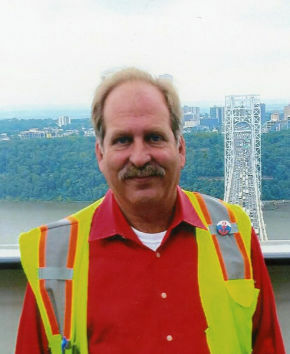 Michael A. Lewitt, age 61, of West Milford, NJ passed away on Monday, January 14, 2019. Born in New York City and raised in Fair Lawn, he resided in West Milford for four years. A proud Navy veteran, he was a member of American Legion Post 145 and Thomas D. Egan Post V.F.W. Post 850 both of Glen Rock. He was a volunteer and lifetime member with the Glen Rock Volunteer Ambulance Corps. Mike enjoyed fishing and was a loyal NY Yankees and NY Giants fan. He was an inspector with KS Engineers, P.C. in Newark, NJ for many years. Loving and devoted father of Daniel Lewitt and Julie Lewitt. Beloved brother of Shariann Lewitt and husband John Irvine. The family will receive relatives and friends for memorial visitation Saturday, January 19, 2019, 2 – 5:30 pm with military honors following at Vander Plaat-Caggiano Funeral Home. In lieu of flowers, donations in memory of Michael to the Glen Rock Volunteer Ambulance Corps, 700 South Maple Avenue, Glen Rock, NJ 07452 would be appreciated. I have been working with Mike for the past 4 years and I just heard about his untimely passing today, upon returning from vacation. I am shocked!!! I had just seen him on one of my last inspections prior to my going on vacation and complimented him on how good he looked. We even compared notes on our future plans and on how long we had left before we could retire. I am glad to have known him. He was truly an extremely nice person and a true professional. He will surely be missed. R.I.P. my friend. I had the opportunity to work with Mike for the last 4 years and can only express my deepest sympathies to his family and friends. Working with Mike has been a great experience knowing that we shared in both good times and bad. Mike was a true journeyman who I came to depend on to get the job done. I will miss him as I know everyone else in our office will. I happened by chance to notice Mike's passing when searching for another recently deceased, Norma Fay. I knew Mike when I taught tennis at the Radburn Courts in Fair Lawn in the late 1960's and early 1970 and when he was a tennis player. I moved to San Diego in 1976 and remain here. He was always a nice kid, friendly, loyal and courteous. Am sad at his passing, as he was a fixture in my life for several years.